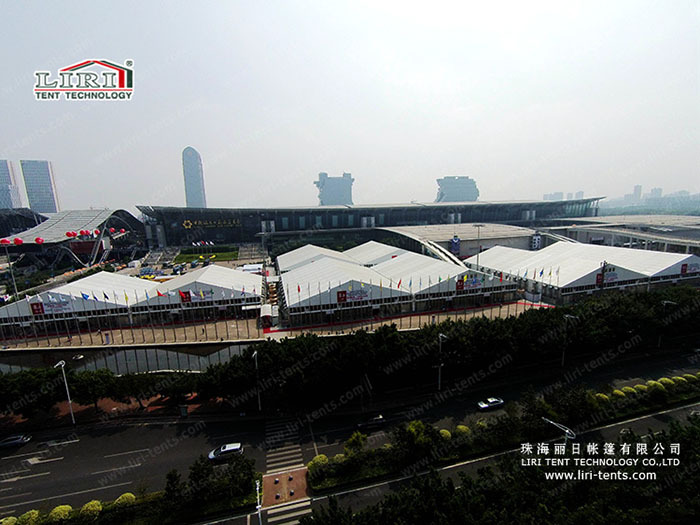 Liri has supplied large exhibition tents for Canton Fair since 2001. Canton Fair, short for China Import and Export Fair, is established in 1957. Co-hosted by the Ministry of Commerce of PRC and the People’s Government of Guangdong Province and organized by China Foreign Trade Centre, it is held every spring and autumn in Guangzhou, China. Canton Fair is a comprehensive international trading event with the longest history, the largest scale, the most complete exhibit variety, the largest buyer attendance, the broadest distribution of buyers’ source country and the greatest business turnover in China. If you want to know more about these large exhibition tents, just SEND your detailed product inquiry below. We will get back to you as soon as possible.